Your home is where you live, laugh, and love. You take great care to make sure the inside reflects your unique style and brings people together. With Dusk to Dawn Outdoor Lighting, you can have that welcoming ambiance outside! 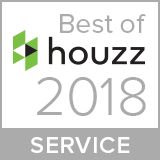 We design and install landscape lighting that softly lights up your St. Louis area home and garden at night, creating a subtle color-palette and mood that adds style, elegance, and romance to your outdoor living areas. Your landscape lighting will be unique to you, your vision, and lifestyle. Dusk to Dawn is one of the only outdoor lighting companies to exclusively use low-voltage LED outdoor lighting systems. 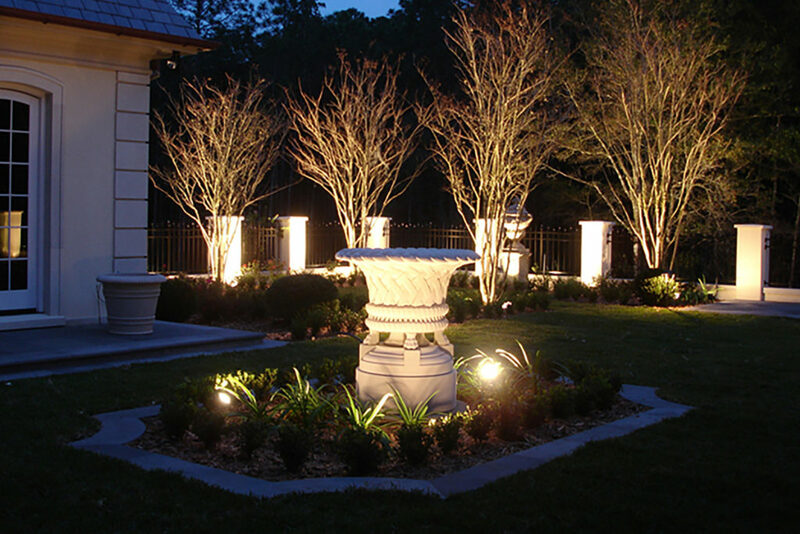 Low-voltage lighting provides ambiance and grace to your outdoor areas, making your home feel like an oasis. When your vision meets our expertise, you end up with a thoughtful landscape lighting design and installation that is not only stunning and innovative but functional, safe, and efficient. The style and color variations and options available in LED lights have never been better or more attractive! 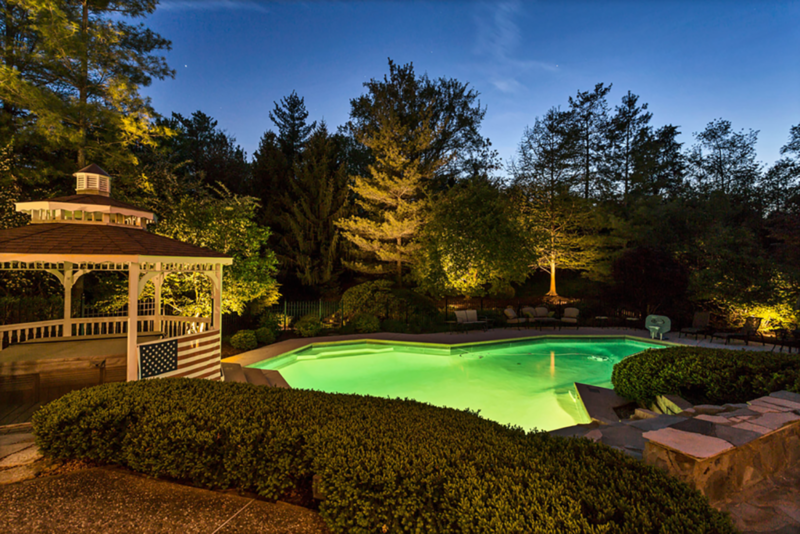 Low-voltage LED landscape lighting is inexpensive to operate and adds the perfect glow of lighting, creating great drama, enhancing safety, and adding security. 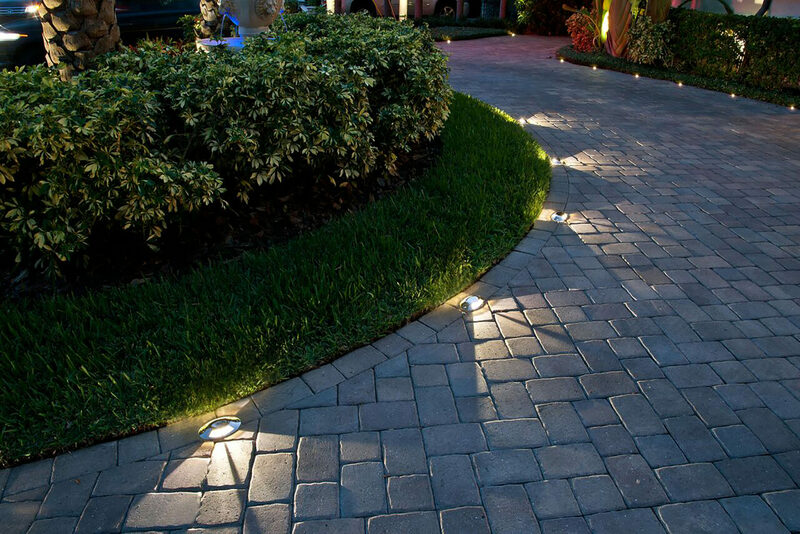 Low-voltage LED lighting shows off your home’s splendor at night by highlighting your beautiful landscaping, patios, pools, outdoor living areas, and the architectural lines and features of your home itself. Accentuates the gorgeous features and landscaping around your home and property at night. Allows for enjoyment of outdoor living and cooking areas without the blinding glare and heat of spot lights. Evokes various moods and emotions, creating an inviting ambiance and sophistication. Sets the scene: we can help you feel like you’re in a tropical oasis or a watercolor painting. Expands your living space at night with lighting that appears to flow as if continuous from inside out. Adds not only outdoor lighting add beauty, it adds value. Extremely long lasting and durable: set it and forget it! Our wide selection of state-of-the-art, attractive, LED outdoor lights and fixtures is the highest quality in the industry. We use only the best LEDs for long life and low heat which offer safety and energy efficiency. Our solid brass fixtures are available in various styles. Brass pulls heat away from the LED lamps for even longer life and adds durability during temperature fluctuations. The life expectancy of our LED lights is approximately 30,000 hours! All of our lighting systems are either dusk-to-dawn sensing or on easy-to-use timers we set for reliability and energy efficiency. We also offer Smart Home Outdoor Lighting Systems, the latest technology that adds major convenience and safety. If you’re ready to get started, we offer a no-obligation consultation that’s extremely thorough and thoughtful. Our process is simple and efficient, making your landscape lighting project stress-free and fun! At Dusk to Dawn, our goal is to help you illuminate your home’s beautiful features and add elegance, safety, and security. Our clients often tell us that we make choosing, installing, and maintaining landscape lighting uncomplicated and affordable. 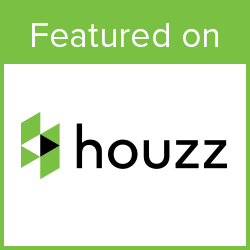 We also offer financing through a reputable third-party lender, so it’s even easier than ever to have the home of your dreams.